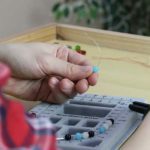 It’s very common for beginning beaders to want to know what tools they’ll need to have and which they can do without when they first get started. 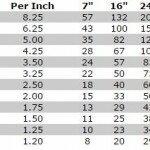 This handy list will help you understand the various beading tools that are available to you and what they are used for. Learn which tools you need for your beading projects, and which you can worry about at another time. Unless you have a pre-designed pattern you are using to create a necklace or bracelet, you’ll probably want to layout your beads ahead of time to decide what design you want to use. 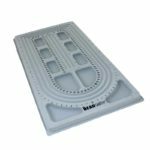 For laying out bead designs, a bead board is the perfect tool: it has compartments for holding loose beads, and slots for you to layout single-strand necklaces, multi-strand necklaces, bracelets, and more. The slots are marked with inch measurements so you know how long your piece of jewelry piece will be when you’re finished. 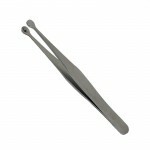 A pair of bead tweezers can come in handy when you’re making beaded jewelry. They have wide, and sometimes slightly cupped, tips to easily hold your beads for you. You won’t have to worry about grabbing the wrong bead when you use these tweezers because you can see what you’re picking up. 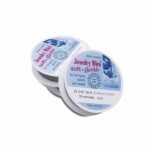 They work on a wide range of bead sizes and will keep the bead from slipping away. If you are worried about losing your pearls or other precious beads if the necklace or bracelet broke, or you just want to keep the beads from rubbing against each other, you should tie knots between each bead. 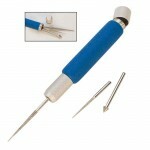 To ensure each knot is tight and rests right against the bead, you’ll want to have a bead knotting tool on hand. The design will allow you to position the knot exactly where you want it, and slowly tighten it into a perfect knot. There are 2 main types of needles, a Beading needle and a Sharps needle. 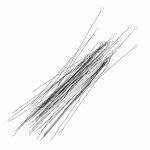 Beading needles are about 2″ long, flexible and are designed for stringing multiple beads and off-loom and loom beadweaving. Sharps needles are shorter and more rigid. They are designed for hand bead embroidery into fabric and for off-loom beadweaving. A beading needle is typically not needed until a beader begins creating off-loom stitch designs. Until then, stringing wire is stiff enough to string beads on. When you’re working with a bead that is clogged or filled with something you can use a bead reamer to clean the thread hole out. Its skinny metal points will easily clear the thread passage. 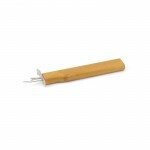 Bead reamers are also designed to allow you to enlarge a bead hole. With several different tips you can change the bead to accommodate the gauge of thread that you are using. 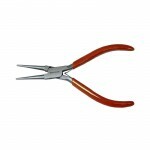 These pliers have flat tapered noses that enable gripping, bending and manipulating wire. Choose a pair that offers small tips to reach tiny areas and that have comfortable ergonomic handles. Again, these pliers won’t be needed right away. They will be needed for stringing beads and to help grip beads and wire. Plus, the more a beader works with wire, the more essential these pliers will become. 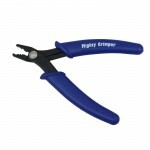 Crimping pliers are used to flatten crimp beads at the end of stringing wire. Crimping pliers create neat, round crimps using a 2 step process. They are very easy to use! Use the standard crimping pliers for 2mm crimp tubes. Use the Micro Crimper for 1mm crimp tubes. And if you have a need for a 3mm crimp tube, try using the Mighty Crimper. 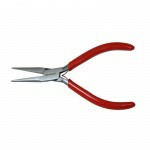 Round nose pliers have rounded ends designed to create smooth tight loops in wire. 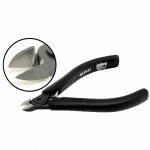 Choose a good quality set that provides a tight grip, ergonomic handles and a wide range of width on the noses. This tool can be skipped when first starting out (and on a budget). As skills soon advance into creating dangles and wire loops, these pliers will be needed. Wire cutters are used to cut wire. They have sharp edges that snap wire clean. Be sure to get good quality cutters that cut close and clean.